This episode of The Amazing Seller is a special one! Scott is celebrating his 100th episode of the Ask Scott Session. Make sure to carve out the time for today’s episode. Scott will announce a very special opportunity for TAS followers like you to enter into a drawing for a FREE 30-minute coaching call with himself or Chris. This doesn’t happen very often and it’s an opportunity with great value so pay attention on how to enter! Scott also covers celebrating wins, the future of eCommerce, getting Amazon reviews, and protecting your product from getting hijacked. This is an episode that you don’t want to miss! Celebrate your wins in life and business! With the rush of life, you can let “Wins” breeze past you without so much as a little pause and celebration. Don’t let that happen! Take the time to stop and look at what you’ve accomplished. You worked hard and sacrificed to get that win, celebrate it! Every little gain along the way adds up, to fight back against the doubts and setbacks you will need these wins to hold on to. 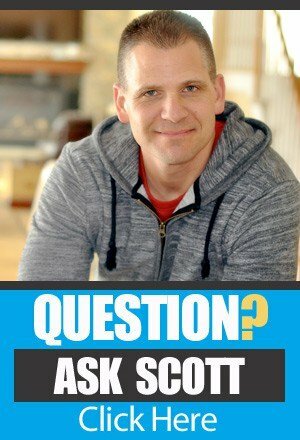 On this episode of The Amazing Seller, Scott celebrates one of these wins – the 100th episode of the Ask Scott Session! Scott’s enthusiasm is infectious – let his passion and energy get you fired up and ready to go out there and take action today! Is it too late to get started with eCommerce? A question Scott gets often is; “Did I miss the boat on eCommerce?” The answer is NO! It’s still a growing and ever changing market, the only thing holding you back from getting started today is YOU. Scott goes back to the main thing that helps business leaders and entrepreneurs thrive – offer a solution to a problem that lots of people are dealing with. If you can figure that out and market it well, you will be on the road to success. If you are on the edge about jumping into eCommerce, you have to listen to this episode of The Amazing Seller! What’s the deal with Amazon reviews? Do all the recent changes regarding Amazon reviews have you confused about what you can and cannot do? On this episode of The Amazing Seller, Scott gives some helpful insights on where to get started with your review strategy. It is important to note that it is against Amazon’s “Terms of Service” to have your family members leave reviews for your product. Scott’s suggestion is to stay away from leveraging your family relationships for that reason. Also, avoid “Deal sites” that offer customers deals in exchange for reviews. Scott suggests going to influencers on blogs, Instagram, etc. and have them run giveaways of your product. To hear Scott talk more about review strategies, listen to this episode and check out the resources in the links! Investing a lot of time and energy into product research and connecting with an overseas manufacturer can be nerve racking. How do you know they won’t give your product design to someone else or use it themselves? On this episode of The Amazing Seller, Scott tackles this scenario. There are a few things you can do to protect yourself and communicate to the manufacturer that you are serious about protecting your intellectual property. Scott also offers some thoughts on getting legal help and pursuing a patent. Make sure to catch this episode! [1:50] How to get a FREE 30 min. Coaching Call from Scott or Chris! [8:30] Question #1: Am I too late to the party? Can I be successful? Is there an updated cheat sheet to determine what the sales per day are according to the BSR rankings? [14:40] Question #2: Can we give people promo codes or is Amazon not allowing that anymore or should we just pursue unverified reviews? [25:30] Question #3: I’m working with a manufacturer in China and I want to know, how would you talk to the provider in China to make sure that they don’t recycle the design that you invested in and sell it to other customers? …100! Can you believe it? We’ve actually made it to session 100 of Ask Scott and I’m so thrilled, I am excited, I am fired up, I’m literally sweating here. I’m so fired up because we made it, we made it to session one hundred and that’s something in itself. It’s like I always talk about, it’s like setting those goals and then going out there and reaching them and then high fiving when you hit certain goals. Everyone wants to get to 100 of something or 50 of something or even 25 of something. I just go in those blocks. I mean just recently I started, you guys have probably heard this, I started my T25, my beach body program that I’m doing there and it’s been about forty days since I’ve been doing that and today I’m at 13 pounds down which is crazy that in just that short period of time I was able to do that and you can see like the graph and all that stuff. Everyone loves that stuff. Hitting a hundred episodes or sessions of Ask Scott is pretty awesome because that means you guys are enjoying them and that I’m giving value and I want to keep doing these, I want to do another 100. I really truly do. I’ve got some cool things I want to talk about here. Number one is I’m going to do something that I don’t normally do and that is I’m going to do a 30 minute coaching call and I’m going to tell you guys how you guys can enter to win this. We are going to let this to run for about three weeks. This is airing on March 3rd, at least it should be and that’s on a Friday and then we are going to let this run till March 24th and I’m going to tell you how to enter. It’s really super simple. What I’m going to do is I’m going to give away a 30 minute coaching call with me and not just me but also Chris Schaffer. You are going to get us on Skype, 30 minutes and we will go into any different topic, any part of your business, any part of your startup, wherever you want to go we will go and we’ll help you for thirty solid minutes. [00:02:06] Scott: That’s a $1,000 value because each of us about $500 a half hour is generally what it’s going for but I don’t even do it. I guess it’s even more valuable because I don’t really do those. I’m also going to do some random t-shirt giveaways. I’ve got a few different t-shirts that we’ve had made and I don’t have a ton but I’ve got a limited amount and I’m going to go ahead and start doing some random drawings there and again the drawings will be at this place where you guys are going to enter and I’m going to tell you how to enter. It’s really easy, totally free, it’s just a way for me to really be able to give back to you guys and have a little fun in the process. Here is all you have to do, you have to… I’m going to create a Facebook post and in that Facebook post I’m going to talk a little bit about what I’m mentioning here but all you have to do is number one just tell me how long have you been a TAS podcast listener. That’s it, just that one thing and then secondly, number two is what is the one thing that you can think of that the podcast has helped you with since listening? That’s it. So one, how long have you been a listener and two, what is one thing that the podcast has helped you with since listening? That’s it. How do you answer? Well you head over to theamazingseller.com/tell, so theamazingseller.com/tell and just tell me those two things. That’s all you have to do. Obviously if you want to elaborate a little bit, if you want to tell me how you found the podcast or what else it’s done to you in your life tell me all that I’d love to hear that. But I want to keep it simple. I want you guys to be able to enter. I don’t want it to be a huge amount of work and I want to be able to give away that 30 minute coaching call absolutely free and I want to also give away some random t-shirts. I’m not sure how many I’m going to give away, probably three or four and I’ve got some limited sizes. I’ve got a ‘Take Action’ shirt that I just had printed. I’ve only had 15 of those print actually only 15 of them. I’m doing a test run. It will be maybe one or two of those. I’ve got the original The Amazing Seller t-shirt with the garlic press and Brody on the front. [00:04:01] Scott: Then I’ve got some TAS breakthrough lives, I’ve got one from Denver, I’ve got one from Arizona. So it’s going to be fun. I’m just going to randomly go out there and select people that actually take action and you can go over there and tell me, how long have you been a podcast listener and two, what is the one thing the podcast has helped you with since listening? That’s it, it’s as simple as that. Now you can tell I’m really fired up and I’m not even kidding. I have a sweatshirt on I mean I am sweating, I’m working out right now by going through this, I’m really fired up because when I get to a milestone like this I think it’s worth celebrating and I think you guys should also celebrate. You guys always hear me talk about that one thing on Friday that I want to convey to you that I might be thinking about or that maybe it’s just that one word. Well today is really about celebrating. Celebrate those mini victories or those small wins as I talked about maybe I think it was last Friday or the Friday before. I forget, I can’t keep track anymore but celebrate. Give yourself permission to celebrate and it could be just, “I got my sourcing done and I’ve got my sample ordered.” Yes, high-five yourself, right now literally high five yourself, that’s a big thing. A lot of people might not make it to that point in the journey because they give up too early. Give yourself credit, give yourself room to celebrate and feel good about that and enjoy the process. My thought today that I want to convey to you that I want you to keep in mind is celebrate a little bit when you have a milestone that you reach. Today we’ve just reached session 100 of Ask Scott. That’s a big deal so let’s celebrate that. Now, I probably could have celebrated it at 25 and at 50 but 100 just made me say, “Wow that’s a pretty big deal Scott, you’ve been doing this for over 100 weeks.” That’s where the Ask Scott originally came from and I didn’t I was going to do 100 episodes. I just thought maybe I would do a few and see what happens and see how everyone liked it and enjoyed it. It worked out pretty good, everyone is still enjoying it and the questions are still pouring in. That also reminds me, if you have a question that you want me to answer on an upcoming Ask Scott session head over to theamazingseller.com/ask and just do that. [00:06:10] Scott: The other thing that we’ve set up recently that you can also leave a voicemail is if you’ve taken action in some way, shape or form I want to hear about it and I want you to go over to theamazingseller.com/action and just put a little voice mail there, two, three minute long audio message and tell me what you’ve done. Let’s celebrate together. I want to hear that, I want to share that, I want you to be able to feel as though you can reach out to people and celebrate and I want to be one of those people so definitely do that. 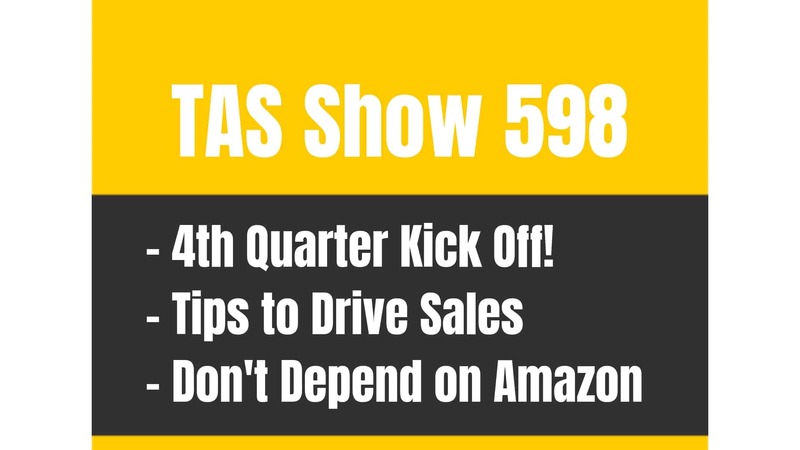 Now before we jump into today’s questions which we are going to answer questions, trust me that’s why we are here, the show notes, the transcripts as always will be found at this episode so that will be theamazingseller.com/328. That link there for this little contest that we are doing will be there as well. The way that we are going to do the contest just to let you know is as you guys are submitting these, as they come in they are going to come in in an order, we are going to do a randomized, it’s a little tool called random.org I believe it is and you just enter the amount of numbers of all of the comments that come in. Let’s just say there’s 100 comments or 200 comments. We’ll put that into the randomizer tool, we’ll hit select, it will randomly select a number and if you were the 50th person to post a comment well you’ll be the winner if 50 is the number. Hopefully that makes sense. So that’s how we are going to do it and then the t-shirt thing maybe we’ll do four or five more times and wherever those numbers fall then we’ll contact you through Facebook. Obviously you are going to be on Facebook, you are going to be in the TAS group, we’ll find you after you post this, we’ll send you a direct message and then this way here we can get you all of the info to grab your prices when that is. That end day is March 24th so if you a listening to this after March 24th sorry you are not going to be able to get into this one but hey you’ll get in one the 50th one, maybe on the 200th one because we are probably going to do those a little bit sooner than later. [00:08:00] Scott: Definitely go over there and still let us know, you don’t have to go in there just to win the prize. Go over there to connect with other people and also share and also read what other people are saying because that’s inspiring. That’s motivating, that will also push you through any sticking points that you might have. Alright guys, like I said it’s okay to celebrate. I’m going to celebrate right now and I’m not going to feel bad about it. I think we should so give yourself permission to celebrate. Alright guys, let’s go ahead and let’s dive into today’s first question, I will give you my answer and it’s going to be awesome as usual. Let’s do it. [00:08:36] Ralph: Hi Scott, my name is Ralph. I have a couple of questions for you. I just discovered your podcast about a week ago and I really appreciate everything you’ve been doing with all the information. I’ve been implementing the different things as you talk about in each of your podcast but I feel that I’m late to the party. I feel that I am late in starting and I don’t know how many opportunities are out there still that I can actually be successful doing this. I just want to know if you can speak to that a little bit as far as anyone being too late. Secondly I’ve completely listened to episode 56 and in that episode you interview Greg from Jungle Scout and in that episode he gave the cheat sheet, the cheat sheet where I can actually use that as a gauge to determine what the sales per day are according to the BSR rankings. I just want to know if I can still use that as a gauge or a guide right now or is there an updated version that I should look to use and not use that one. If you could speak to those two questions I’ll greatly appreciate it. Once again I appreciate everything you’ve done already. I hope to meet you one day and get you a cup of coffee. Have a great day. [10:00:00] Scott: Hey Ralph thank you so much for the question and thank you so much for being one of our new listeners. I mean one week? That’s awesome and I’m happy to hear that because that means that I’m still reaching new people and it’s great. Okay great questions, I’m going to address each of those. Number one I’m going to start with, and I get this quite a bit, “Scott am I too late to the game? Am I too late to be able to sell products on Amazon?” That’s usually the question. I want to take a step back. I want to ask you a question now. 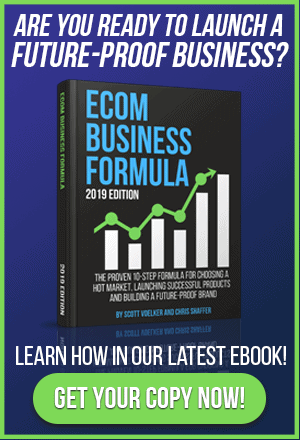 I want to ask you, “Do you think that all of the businesses or the ecommerce businesses out there, do you think that they are the only ones now in the world that will ever be able to sell to people that are looking for certain products? Amazon, eBay, your own website, Etsy, Walmart.com, sears.com, do you think just because people have already established themselves into a platform that there is no room in the market for us to go in there and create products that are better or we differentiate them better or we have a better brand? I look at that as there is always going to be opportunity. Going back to, and this isn’t really I guess exactly of what you are talking about here but it is very similar, as far as like years ago, three four years ago, on internet years that’s a long time ago but you used to be able to get out there and throw up a website with four or five pages and start ranking for certain keywords. There was a whole strategy behind that, it was a shortcut in a sense and then you would rank a website in Google, you start getting traffic, you’d start getting clicks on ads and then you start making money on ads and then you’d be making money on ad sense and all these different things. All of a sudden Google makes an update and all of a sudden everything changes and then the guys that wanted or the girls, guys, whatever, that wanted the easy route they went away and tried to do something new. [00:11:58] Scott: Here’s the deal, things are going to change. There’s always going to be new coming into the market, there’s always going to be people like me talking about a business model and then giving further education but it really comes down to you embracing the process, not going out there looking for a shortcut and from there creating good products and understanding marketing and understanding how to sell product. I shouldn’t even say the word sell, I should say how to offer products that will help someone in the market whether it’s help them fix a problem or whether it’s help them do a job better or if it’s a better way of playing guitar or whatever it is. There’s different things that you are going to be able to help that person in that market. Alright, now that I went on a little bit of a rant there I apologize but it’s important stuff. This is really, really important stuff but now let’s talk about the resources that you were asking about with Greg Mercer and that was episode 56 that we talked about his tool Jungle Scout but also we talked about some resources that were included. Yes, they are updated generally on the page where you can go to check out that stuff for the amazing seller and that is theamazingseller.com/JS and that is the page that will be updated with any resources that we have there for the tool. Now the other thing I would do is definitely listen to episode 161 and also 189. 161 was me and Greg getting back on, having an open discussion about product research after we’ve done so many episodes after 56 so we figured we would come back and do another recap. We’ll probably do that again soon but we did it on 161 so that’s definitely a good one to listen to. 189 is me going through and digging deeper through the numbers so this way here you are not just looking at the surface numbers which I think is a big mistake that a lot of people make. [00:14:01] Scott: We go deeper and we actually run it through some criteria and some filters that I put in place so this way here we can look and make sure that the numbers all check out. This way here we are not going to be blindsided after we launch a product and go, “Oh I should have looked and seen how long they’ve been selling certain products, different prices, different times of the year, different seasonality and like all that stuff. We really want to go back in time in a sense and look at the history and that’s what we do on 189 so definitely go check out that episode. I’ll link everything up in the show notes as well. Alright guys, let’s go ahead and listen to the next question and I’ll give you my answer. [00:14:40] Kelsey: Hey Scott my name is Kelsey. I’m just getting into some of your content here and I’m wondering about Amazon reviews and how to get started. We have a couple of products we are about to launch and obviously I want to start generating some reviews before we do Amazon’s PPC stuff. I know the rules are changing so what could you tell me about how best to access my network of friends and family in order to generate reviews that won’t get taken down. I’m hoping for verified purchases like can we get people promo codes or is Amazon not allowing that anymore or should we just pursue unverified reviews? You probably have content on this maybe you can point me towards the right podcast or the right article. Thanks so much, my name is Kelsey, I’m in Los Angeles, I own a marketing agency and we are just launching our own brand and our first products to sell on Amazon. Thanks so much man. Thanks for your work. [00:15:46] Scott: Hey Kelsey thanks so much for the question. I appreciate you being a new listener and I just want to say thank you so much. I want to address this. I have already covered a lot on this throughout the past episodes but I’m going to give you my thoughts here today but I’m also going to direct you to a couple of episodes, fairly recent episodes and I’m going to give you those right now and anyone else listening. 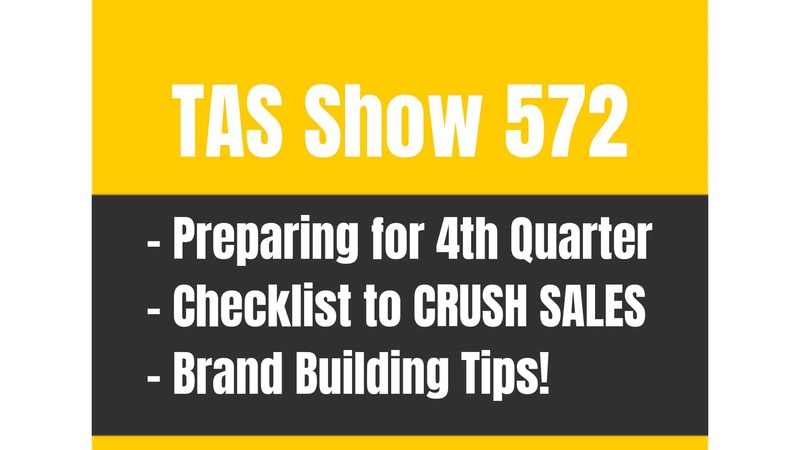 Episode 279 which was a power hour that we did we call it TAS Power Hour and we talked about review strategies and that one there really does give you a little bit of reviews but also about how to build an external launch list and things like that. That’s definitely a good one to listen to. The other one would be episode 267 and that one there was the future reviews in Amazon sellers and that was a round table again that we did discussion-wise. That would be another good one but I’m going to give you the 30 or 60 second hopefully thoughts on that right now. Now you mentioned possibly giving out discount codes to your family members. You can still do that technically if you have never been linked with each other. You are not “technically supposed to”, within the terms of service you are not supposed to give it out to family members but what if you had a cousin that did honestly want to buy something from your store? I don’t want to see that as being an issue. If you had a business and your cousin says, “I want to buy that,” and you said, “Alright but I’ll give you 50% off this way you’ll cover costs and all that stuff,” and he’s like, “Cool” and then he went over and he bought it, I don’t want to see that being a problem but Amazon does say in their terms to service they do not want family members buying product and leaving reviews. Maybe then, again your cousin wouldn’t technically and I’m using air quotes be able to leave the review. I wouldn’t really go down that route anyway and you said that you wanted to do that before you turned on Amazon pay-per-click and in the past I have said that I like to wait till I have at least five but that was also when I was going after a little bit more competitive products once it had over 300 reviews. Now we are switching things up where we are going after products that we don’t really look at the reviews as being a selling feature as much. [00:18:00] Scott: That means that we almost always turn on pay-per-click day one and that’s part of the launch process now. So the launch process really quickly is to get your product listed obviously but then from there have a launch list to go to or someone that has that list or a deal site of some kind so this way here you can start getting sales. That could be 20% off, that could be 50% off but then what you’ll want to do and this is the big one here. You cannot go to… Let me just give you a little time our real quick. Anyone listening time out. We do not want to go to a deal site where they are saying, “We are giving deals in exchange for reviews.” No, we do not want that, we want people that are just looking for a deal or people that are wanting to buy something whether it’s on Amazon, whether it’s on ecommerce. It doesn’t really matter, it doesn’t have to be necessarily an Amazon deal site. It’s actually quite better if it’s not. What I would suggest is reaching out to influencers in your space. Now you said you own a marketing agency. You probably know people that you could align your product with or know how to do that or have someone on your team do that. That’s what I would do. Then this way here you only really have to, you don’t have to, but to me personally as part of the launch is you want to allocate a hundred products or a hundred items that you can give away at a discount. Again I don’t really want to use the term in exchange for review. It’s more or less to get the algorithm, like getting your product indexed in a sense to where you are going to start getting sales and if your listing is well optimized, and this is a big mistake that a lot of people is they just throw their listing up, they’ll optimize it later. I would optimize it as best I can on day one because when I start getting the traffic through these sales that’s also going to also allow Amazon to see what my listing is about. [00:20:00] Scott: Now, right alongside that you are going to want to run pay-per-click on auto campaign and maybe a manual campaign depending if you’ve already done some research on your competitors and if you were able to get a list of keywords. If you weren’t, then you’re just going to run an auto campaign. That auto campaign is going to then take your listing, this is why it’s important to get the listing optimization right. 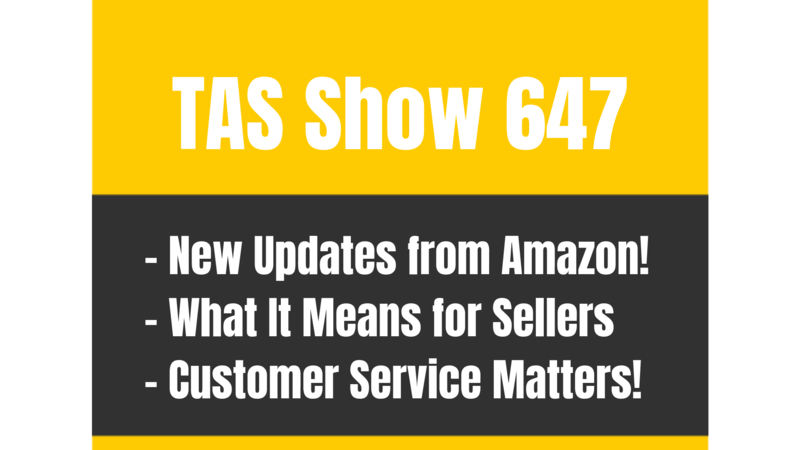 Amazon is going to look your listing, they are going to more or less scrape your listing and they are going to see what your listing is about, what keywords are in there. Then it’s going to target these keywords for people in your market and then you are going to show up for that. Now, if you’ve done your product research properly, you don’t need to have hundreds of reviews. Like that’s it. Like you don’t have to say, “Go leave me a five star review.” None of that stuff. Actually, I don’t want you to that. I want you to just get sales on day one, however that is and then from here follow up with those customers. Now, if you’ve discounted the… And there’s a little bit of debate here, if you’ve discounted that product like really heavily like 50% or more, they are saying that they don’t… I say they. People in this space, in our community are saying, “Do not send those people a follow up email.” But me, I’m not saying give me a review. I’m saying like just give feedback on how we did for you. [00:22:00] Scott: Then sometimes it will naturally just turn into a review as well. I don’t think there’s anything wrong with that but again you do what you want to do or anyone listening but personally I don’t think there’s an issue with that. That’s just me. I think as long as you do it gently and you do it in the way that you are actually honestly helping them or giving them an additional value or a resource and I would always lead the email with something that I’m giving them. “Hey, we just created three YouTube videos on how to play your new guitar. Head over there and check them out. They are there for you for free.” Then on the back side of that it’s like, “And oh, can you do me a quick favor, could you head over to Amazon and let them know how we did for you? Could you leave us feedback to let them how we did? That would be awesome.” Thanks so much and have fun playing your new guitar. And oh by the way, here’s the link again to the YouTube channel.” Something as simple as that. Like you’re giving a resource or if you don’t want to link out because some people say well you shouldn’t really link out inside that email which again that’s another debate. I’ve heard people saying that they do it and they do it successfully and there’s been no problems but if you’re at all nervous about that, then just create a pdf with those YouTube videos that are basically referenced to inside of there, maybe give like a little download guide of maybe some guitar scales or maybe parts of the lesson that are transcribed in there or something like that. Then you can go ahead and say, if you want to watch this video, click here inside the PDF. That way you’re not linking directly out inside the email. I personally don’t think that would be a problem. If Amazon ever looked that they know that you’re driving you to YouTube video, you’re not driving them to your ecommerce store where they are going to buy that product at a discount and not on Amazon. That’s where the problem comes in. Now, I know I went on a little bit on a tangent there in a good way, I hope for you guys because I want to give you guys the whole picture. It’s not about me saying like yes do this, do this and do this. It’s like these are all the things to me that make it easier for you to get ranked, to start getting reviews naturally and you’re not relying on friends and family, and any of that stuff. [00:24:07] Scott: You don’t have to do that. Now, if you want to go down that route I don’t’ think that’s going to be a problem just understand that if you do reach out to friends and family and if you’ve ever done business with your friends and family meaning if you’ve ever shipped something to them or they’ve shipped something to you you’re automatically connected. Your accounts are connected. Amazon knows this. Amazon I don’t believe would penalized you other than they are not going to count that review and it won’t even show. So I wouldn’t even go down that route at this stage of the game. I would just do what I just said. I would go out there and find places where you can give a discount on your product to people that want to get product at a discount and then be really, really awesome to those people and everything else will flow. If you guys do want to automate that I recommend Sales Backer. That’s the one I currently use. Again, I’ll link that up here. If you guys want the resources of the other parts of this, even like finding the deal sites and stuff I have all that stuff linked up on the resources page. Again, which I’ll link inside of the show notes but that is very easy to find as well. It’s theamazingseller.com/resources and everything is there and I’m always adding and updating that as we kind of evolve here. Alight guys, let’s go ahead and listen to one more quick question and I’ll give you my answer. We’ll wrap this up. You guys can go on with your weekend and we will get out of here. Let’s do this. [00:25:29] Arie: Hi Scott. This is Arie calling all the way from Barcelona. I know you like to hear from people from far away. So I have a question. I am now designing a product with a manufacturer in China and investing quite a bit of energy and iterating through to the designs. I want to know what would you do, how would you talk to the provider in China to make sure that they don’t recycle the design that you invested in and sell it to other customers? Is there any way to do that much? Not sure if you covered it. Thank you very much. Great job, love the podcast. [00:26:07] Scott: Hi Arie. What’s up man? Thank you so much all the way from Barcelona. Yes, I do love to hear that. That is amazing and awesome that in today’s world we are able to do this which is just crazy. Every time I get on a workshop, too and we go like a live Q&A at the end and we’re able to talk back and forth to people in different parts of the world or just even different states is pretty cool. But when you’re able to reach people in Germany, in China and in Japan and… I mean just all over the globe it’s just really awesome. UK, Canada, you name it. I think we’ve had everyone or we’ve had someone on in all of different parts of the world just about which is pretty awesome. So, thank you for reminding me of that Arie. This is actually a great question and I don’t think I’ve ever been asked this one this way. I love it because it’s actually something that I’m going through right this second and we are in the process of this. Honestly I don’t know exactly what the right or what the best way to do it but I can tell you what I think you’ll have to do and the steps that we’re kind of taking. The first thing is you have to know, like and trust your supplier. It sounds like you do. But still they are from another country and we’re just talking through Skype or whatever. We don’t really know them. But you start to work with them, you start to know them. Now, I would say the very first thing that we’re doing is we’re having them write or actually sign, we’re having it written an agreement. That agreement states that once they create this thing, this mold, let’s say it will belong to us, our company. Now, we would have them sign that, you would probably want to have, we are anyway we have an attorney write this document up, have them sign it and now you have something that is official. [00:28:10] Scott: But now you are probably saying to yourself like I do too, “What’s going to stop them from doing that?” I mean they can do that in two seconds, what are we doing to do? We’re going to hire a team of attorneys to go to China and to fight this thing? Probably not. I don’t know about you but me it’s like, no I’m probably not going to do that but here’s another thing that you can do. It’s you can have your brand name embedded inside of that product somewhere. If it’s a mold that you’re having created it’s going to be a part of that mold. That was actually something that was reminded to me by my good friend Dom Sugar because that’s what he’s done in the past and we were going through this process and I thought to myself like, I’m wondering if that’s common or not but I’m going to do it. I’m going to ask him to do it anyway. They’ve already agreed to do it. They’ve already agreed to sign this document, they’ve also agreed to put our stamp inside of the mold and why this is important too guys is because if someone does end up using that product that we’ve created with this mold well guess what? Our brand is going to be stamped inside of there and it’s going to be very hard to alter that unless some way they go in there and they can mask over top of that somehow which would be probably a lot of work and it would mess up the mold. So it’s probably not going to happen but it’s another thing now that we have stamped in our brand and if someone comes on and starts to sell or hijack our listing with our own product well we know that we are the only ones that are able to sell and now we can show Amazon, “Hey look it. This is ours, this is theirs, they can’t sell it.” So now we have something to go even deeper that just saying like, “Well, we’ve got special markings on our box.” They can do that too. If they find out that we have something inside our box they can buy our product and see what it is and then create that. [00:30:05] Scott: Now, these are all different things that a hijacker would look at and go, “Ah, it’s too much work. I’m probably not going to do it, but if you are concerned that someone is going to copy your product and rip it off, especially something that you’ve put in a lot of time and energy into then I would say if you are making a mold or making some type or some part of it, that is branded then I would have that stamped right inside of it. I’m talking not just like lettering, I’m talking like it’s embossed inside of that thing. If you are selling a garlic press and you were XYZ kitchens, you would have XYZ Kitchens embossed right into the handle somewhere whether it’s underneath it or on the side, however you wanted to do that. Very easy for them to do it when they are creating your mold and if you are spending money on a mold that could be $2,500, probably all the way up to $15,000/$30,000 depending on how many different components. So that’s something I would definitely do. But the very first thing is have them sign a document. It’s also going to let them that you have a document signed and it’s also going to probably remind them that they shouldn’t do that even if they were thinking of doing it in the future. So that’s what I would do. Definitely go and make sure that you have an attorney, write something up. Probably not going to be that expensive and then from there at least you feel as though you’ve covered all the basis that you can. Now, the third part of this would be a patent. That’s the other thing we are working on right now is we are looking to see what it will cost us to just file for the patent. Then at least have a patent pending. So now if we have patent pending it’s another measure that we have there in place that will also make someone, they will not think twice about it. They will be like, “Oh my gosh. Okay, well they’ve got their thing embossed in there, they’ve got paperwork and there’s a patent pending.” We don’t have to finalize that patent until we’ve been approved technically but we still have to file it. I don’t know the cost on that right now. I’m actually in the process of figuring that out. But that’s something that you’d want to contact a patent attorney. I’m actually working with one right now. [00:32:03] Scott: If everything works out with that one, I will be more than happy to recommend him or her or their company but I don’t know that yet so I can’t do that. All I can say is I’m working on it but that’s what I would do. Those are the three different things that you’re going to need to do to make sure that you can cover yourself here. Definitely, definitely do that. Hopefully, this has been helpful to anyone out there that’s thinking about creating their own unique product or making a very, very major change to something that requires a mold or some other type of adjustment making sure that you get this thing protected so they don’t just go out there to your manufacturer and start stamping it out for a bunch of other different sellers and all of a sudden you’ve got all this competition with a product that you technically created or differentiated. You definitely want to make sure that you do all that stuff. So, let’s go ahead and wrap this baby up. I want to say again thank you so much for allowing me to get to session 100 of Ask Scott because you guys have been submitting your questions and if you have any other questions or if you haven’t asked one yet and you want to head over to theamazingseller.com/ask and yeah, we can go ahead and potentially air it here on an upcoming show. I want to remind you though, we’re going to do something really cool and that is we are going to give away one session or a half hour session to one individual and I say we, it’s going to be myself and Chris Shaffer. We’re going to hop on a call, we can strategize, we can do a hot seat, whatever you want to do for those 30 minutes, we are going to do. All you have to do to enter is head over to theamazingseller.com/tell and tell us, number one how long have you been a TAS podcast listener. That’s number one. Really easy. Just how long have you been a listener, about? Doesn’t have to be exact. Then number two, what is one thing that you’ve learned or had a takeaway or an aha moment since listening to the podcast. [00:34:05] Scott: That’s all you have to do. Just those two things and then what we’re going to do is we are going to enter everyone into a virtual hat, we’re going to calculate one number, one number is going to be spit out of this randomizer tool and then we’re going to select then one in order that they were submitted so by number and then we’ll pick one winner. I’m also going to pick like three or four other winners for some t-shirt prizes. I have some limited runs on some t-shirts. I’ve a take action t-shirt, I have the original the amazing seller with a garlic press t-shirt, I have a couple other ones from our other events that we did in, we did one in Denver and we did one in Arizona and that’s TAS Breakthrough Live. So we have those. So I’m going to a few other ones in there as well just to have a little bit of fun to celebrate this 100th session of Ask Scott. So if you want to participate head over there. There is a deadline. We are going to be cutting it off at March 24th, again because well, we want to give it a few weeks from the time that this airs and if it’s after the fact and you are listening to this, that’s okay. You can still go over there and tell me those two things and who knows, maybe randomly I’m going to go over there and just start giving away some t-shirts or something or maybe another session at some point in time. So just go over there, have fun and just let us know a little bit about you and how you heard of the podcast and maybe one thing that the podcast has helped you with so far. All right, so guys that’s pretty much going to wrap up this episode. Remember everything can be found on the show notes at theamazingseller.com/328. You can find all the goodies over there, transcripts, show notes, everything will be there for you to grab. Guys, remember. I’m here for you, I believe in you and I am rooting for you. But you have to, you have to… Come on say it with me, say it loud, say it proud, “Take action.” Have an awesome, amazing day and I’ll see you right back here on the next episode.